26-year-old Communication and Public Relations graduate Eliza Ancău of Romania was crowned Miss Global Charity Queen 2017 on 23rd of September 2017 at the Hotel Four Points by Sheraton in Penghu, Taiwan. 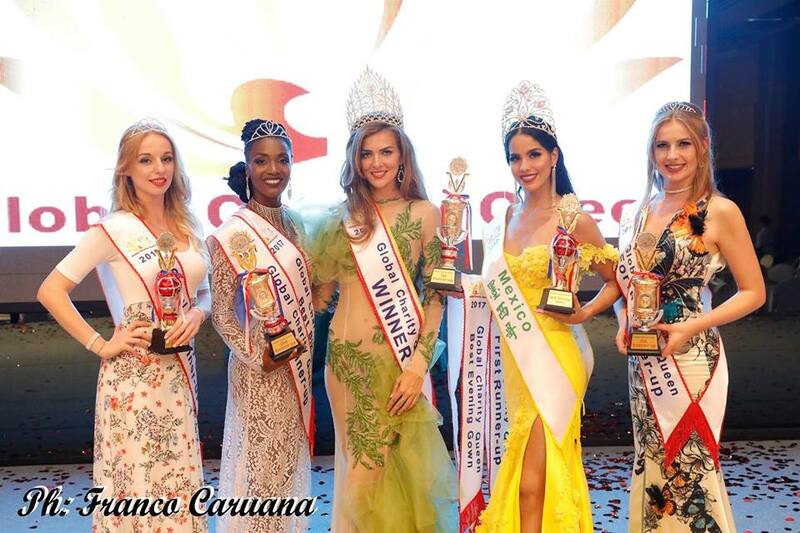 Eliza bested 40 other countries and will receive a one-year contract to serve as an official ambassador for 2018 World Congress of the Most Beautiful Bays in the World Club to be held in Penghu, Taiwan. This pageant veteran also represented her country at 2015's Miss Supranational in Poland and Miss Global Beauty Queen 2017 competition held in South Korea.